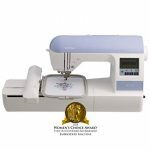 Husqvarna Viking sewing machines stand testament to the company’s mission of providing sewing enthusiasts with a wide range of innovative, high quality, user-friendly tools that enhance the joy of creative sewing. Their precision designing and innovative features aim to please even the most fastidious sewer. 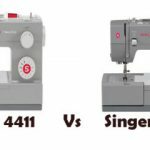 If you are looking for precision and perfection in your sewing machine, you needn’t look further than Husqvarna Viking sewing machines. The Husqvarna Company has an interesting history. Launched by the King of Sweden as a weapon factory in 1689, the company got its name from the mighty Huskvarna waterfalls situated nearby. In 1872, the steady decline in orders for making rifles prompted the company to switch over to manufacturing a peaceful precision product – sewing machines. Suffice to say, it was a decision that revolutionized the world of sewing! Their very first models, the “Nordsjernan” or The Northern Star and later the Freja were a huge success when they were launched and immediately propelled the company to the top spot- a place they have retained through the centuries. In 1947, the company introduced the Husqvarna Zig-Zag, the first free-arm machine that offered easy access to tubular areas and in 1960, they unveiled the 2000, a user-friendly machine with automatic feed for elastic stitches and color coded settings. 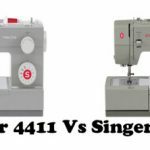 1972 saw a long list of innovations, from open thread guides and snap on feet to easily adjustable foot press and the first lubrication free sewing machine. By 1979, the company made a tremendous breakthrough when they introduced Model 6680, nicknamed the “computer sewing machine”. A micro-computer in the machine helped guide the creation of a variety of patterns. 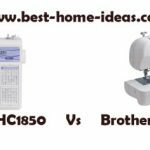 In 1980, soon on the heels of Model 6680, the company launched the world’s first sewing machine that was capable of sewing letters. 1994 saw the launch of the Husqvarna Viking Orchidea. 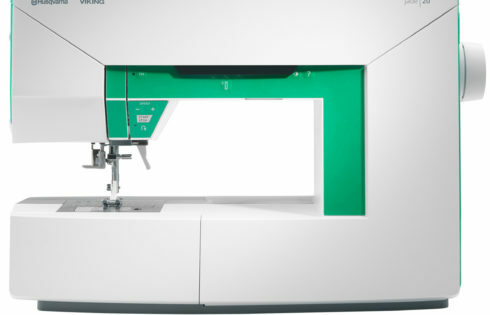 Brimming with exclusive features including the Programdisplay™ , Sewing Advisor™ , Infodisplay™ and Direct One Touch Stitch Selection in addition to oustanding professional-quality machine embroidery, the Orchidea was every sewer’s dream come true. The company did not rest on their laurels though. Within 4 years, they came out with the Husquvarna Viking Designer, with its Sensor foot lift and foot pressures, Color Touch Screen, Selective Thread Cutters and Built-In Disck Drive. 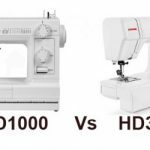 From the basic E20 to the top of the line Designer Diamond, all Husqvarna Viking sewing machines have advanced time-saving features that make them faster and easier to use for creating beautiful projects. The state of the art sensor system enables you to create perfect edges, something that even the most skilled sewer often struggles with. That’s not all! Over and above everything else, these machines memorize your earlier settings so you can achieve the same level of precision in all of your projects. There’s no doubt about it, for precision sewing, it’s hard to beat a Husqvarna Viking sewing machine!